The Bartos Institute for the Constructive Engagement of Conflict is a program area that serves students at UWC-USA and the wider community. 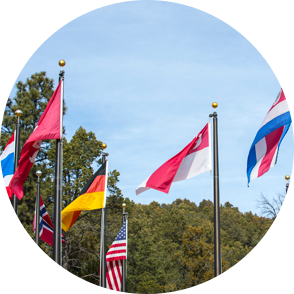 Kurt Hahn’s original vision for the UWC’s was to place high school aged students together, provide them with challenging academics and experiential education programs, and their innate similarities will result in relationships and bridges between cultures. The Bartos Institute seeks to serve as a catalyst in this process by providing students a formal program that builds the skills of peacemaking, conflict resolution, goal-setting, and collaboration. In other words, we don’t want to leave it to chance that students will develop these skills just by proximity and by virtue of being on campus. We invite you to explore our current program areas where much of our work resides. We also invite you to become engaged with the work of the Bartos Institute by subscribing to our online journal, signing up for our e-newsletter, or exploring how to partner with us. The Bartos Institute for Constructive Engagement of Conflict serves students on campus and also advances the skills of peacemaking and conflict resolution across the UWC movement and around the world. UWC-USA is pleased to announce the theme for this year’s Annual Conference will be Migration and Belonging. Everyone at UWC-USA comes from somewhere else. Some come from down the road in Las Vegas and others come from as far away as Bombay. We all want to move. We all want to belong. This conference explores the intersection of these two impulses.